When I think about Marie & Andrew together, my heart feels like it could burst. Having known Marie for most of my life and watching her grow up into an incredible woman, seeing her meeting a man like Andrew felt like a dream come true! They deserve each other in the most wonderful way. Oh, and if you haven’t seen their Secret Garden themed Engagement Session, you can check out by clicking here. Marie and Andrew decided to host their wedding in Chatham, starting off with some getting ready photos at the Retro Suites. 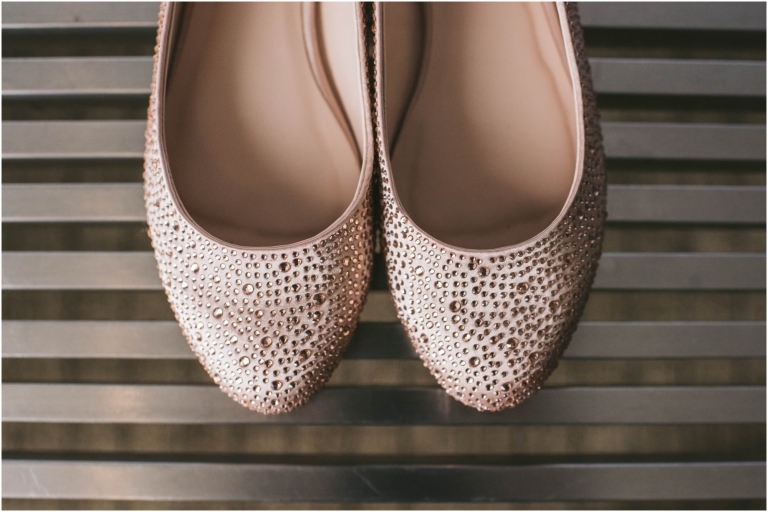 As I walked into the girls’ suite there was a sense of purpose and calmness that is usually pretty uncommon on a wedding day. 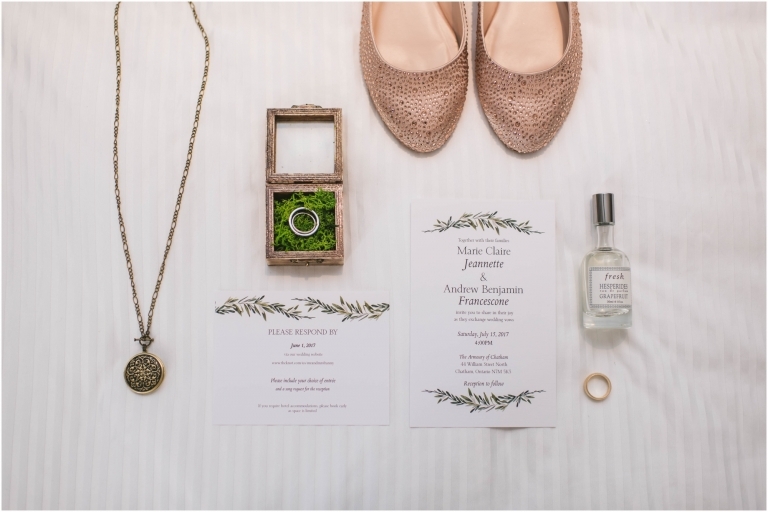 The girls were relaxed, laughing, and filled with joyful anticipation for the ceremony ahead. Marie looked as sure as she’s ever been that today she was making one of the best decisions of her life. The guys’ suite had a similar feel to it. Andrew’s groomsmen and he are a tightly knit group. They share a friendship that goes beyond a surface level bromance. They were there in full force to support and celebrate Andrew’s decision to commit his life to a partnership with Marie. For a summer day, the weather was just perfect. 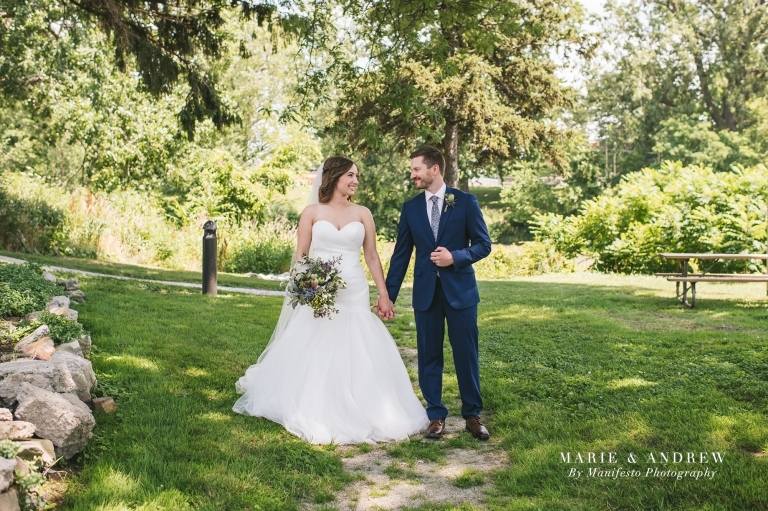 We made our way to a small parkette for Marie and Andrew’s first look, and the way Andrew looked at Marie as he turned around and saw her for the first time? GOALS. They are both so clearly enamored with one another, evident as they took a moment together to enjoy the reality of this day. They soon joined their wedding party and rocked their portraits. They. were. models. Their reception continued at the Chatham Armouries (which is now a new favourite venue of ours). The brick walls and tall ceilings made for a unique backdrop, and the warm wood decorations, candles, white drapery and greenery made for a natural and cozy setting for their reception. The speeches were filled with kind words, inside jokes and jabs at one another, a reflection of the comfort and genuine relationships Marie and Andrew have with their friends and friends. We ended the night photographing their first dance as husband and wife, which they finished off with a bow before the dance floor opened up and they got the party started. Marie & Andrew, it’s been a joy to walk through multiple chapters of your life with you, and an honour to document this new and exciting one, as you start your lives as Mr. & Mrs! May you have a long life of love, happiness, and great health. Love you guys! “It was a joy and a relief to have Arica and Josh with us for our photography on our wedding day. Having had the time to get to know them better in front of the camera during our engagement shoot, we were relaxed and comfortable as they took pictures throughout our special day. We had total trust in their vision and were able to focus on the experience of our wedding day instead of worrying about what memories would be captured. We knew whatever Manifesto shot would be amazing and our photos exceeded even these high expectations. Arica and Josh scouted the perfect location for our First Look, as the location we had suggested was not going to work very well. 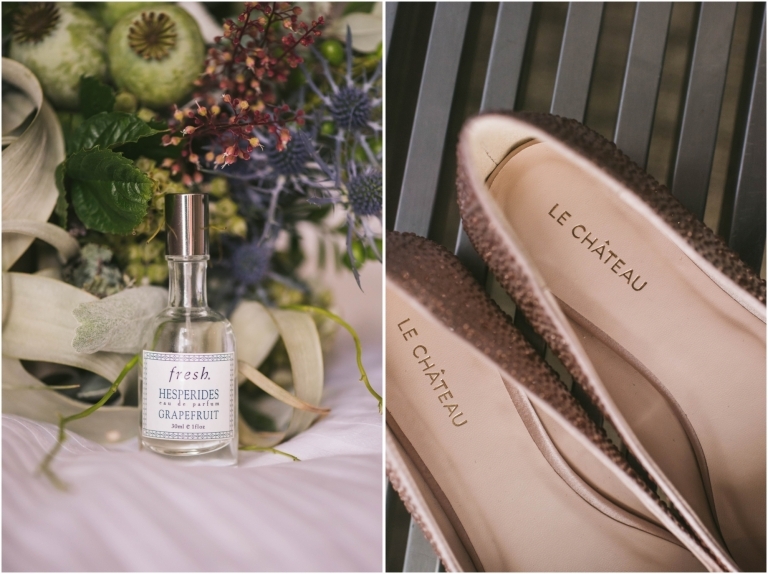 Their suggestion made our first look experience and wedding party photos extra special and these are among some of our favourites of the day. Of all things, we were originally against doing a first look before sitting down with Arica and Josh to discuss it. They were clear that they respected and supported our wishes, but offered some additional insight to the advantages of a first look that we had not considered. We are so glad they did- it totally changed our perspective on the first look and we ended up incorporating that into our day. As a result, we got to spend precious time alone to be with each other before the ceremony- probably the only time we had alone the whole day! It also gave us the opportunity to take our wedding party photos so that we could spend the entirety of our cocktail hour with our family and friends, many of whom had come in from out of town to celebrate with us.